Discover a large selection walking shoes for women! We have compiled a list of great walking shoes for women based on customer feedback, product reviews, and brand reputation. 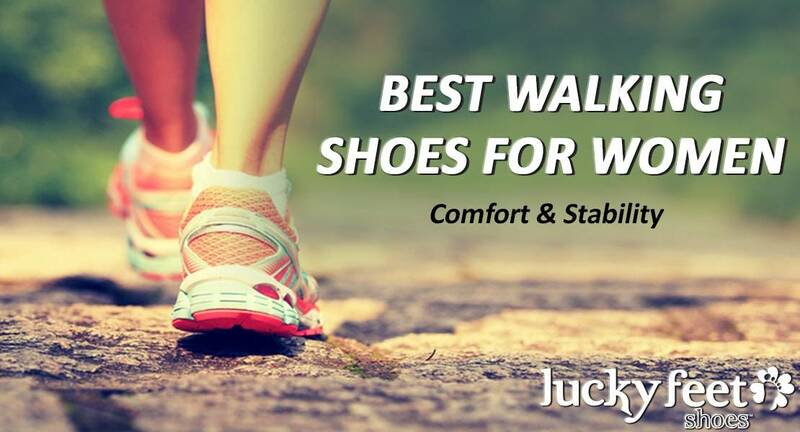 Therefore, when you shop walking shoes and running shoes at Lucky Feet Shoes, be sure to know that you are shopping reputable shoe brands with great quality footwear. 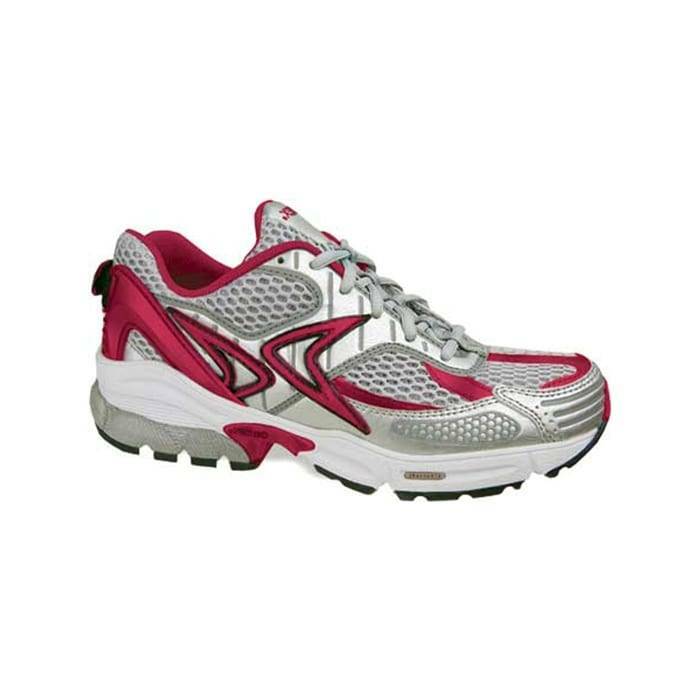 You will find both current trends in comfortable walking shoes and clearance walking shoes for women. Don’t forget, at Lucky Feet Shoes you can shop men’s cheap shoes online and receive free shipping on purchases over $100! Can you believe the color? Gorgeous, right? The women’s New Balance 847 are great walking shoes for women for their comfort, technology, and wide width size options. This sneaker is a motion control walking shoe made with premium foams to cradle your heel and to increase underfoot comfort for all-day well being. In fact, you will find this sneaker almost too comfortable to take off, especially after a long walk or work day. 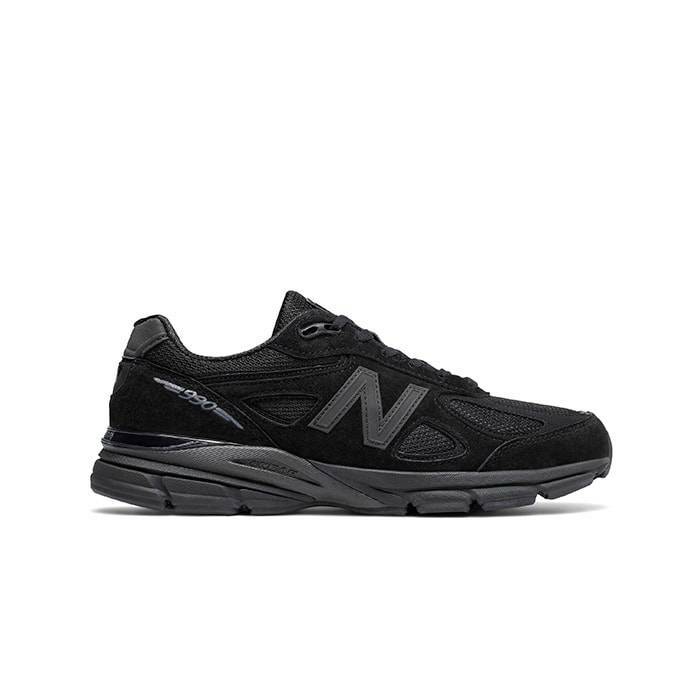 Also, this New Balance shoe features a full-length ABZORB ultra-responsive midsole with a PU insert and strobe board, which provides the best instep. In addition, the ROLLBAR keeps you locked and loaded, which takes your walking to a new level. Overall, the New Balance 847 are reviewed in our top walking shoes for women for their technology, shock absorption, and wide widths sizes. 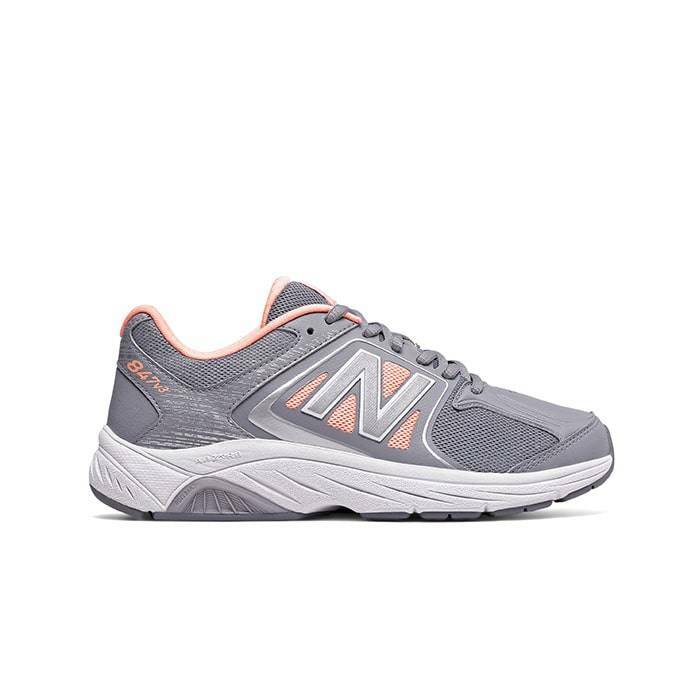 This women’s New Balance 990 sneaker is made from a combination of pigskin and mesh giving you a lightweight, breathable running shoe. This New Balance 990 makes a comfortable women’s walking shoe for its ENCAP midsole technology, which provides support and maximum durability. Also, this New Balance shoe features a full-length ABZORB ultra-responsive midsole with a PU insert and strobe board, which provides the best instep. We can’t forget about Brooks! Brooks makes both running and walking shoes that are both attractive and comfortable. In this case, the Brooks Dyad is a walking shoe for females as it keeps you on your feet up for long-hours without experience much foot main! This sneaker is lightweight and flexible with plenty of grooves and a segmented crash pad which offers plenty of support and dual-pod construction. 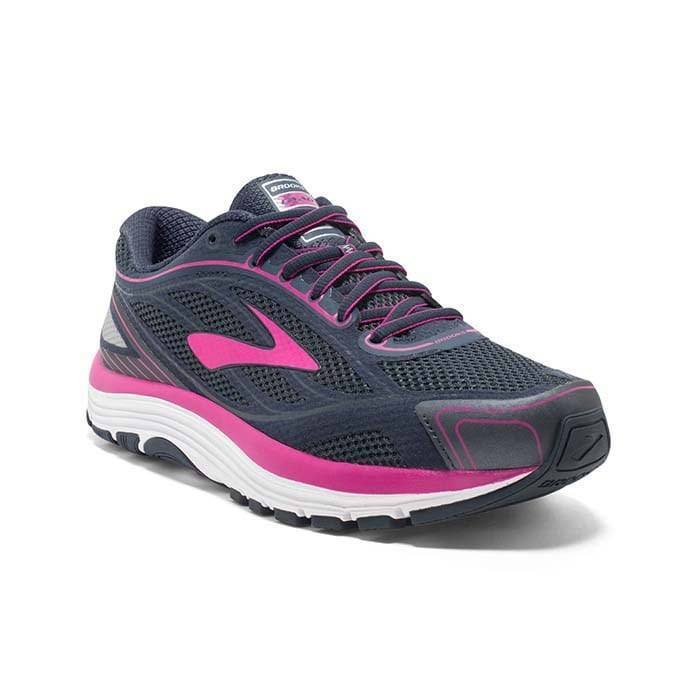 In addition, this Brooks Dyad offers plenty of cushioning for those who are flat-footed with supination. 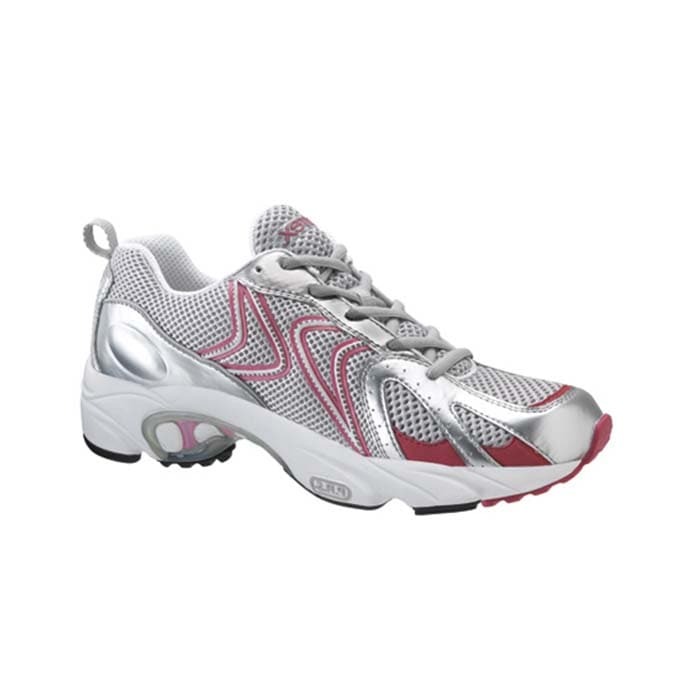 The MBT Sport is a great women’s walking shoe since it was uniquely designed for walking in comfort. They have the ability to straighten your back and legs and help improve your posture and gait when walking. Also, their unique Sensor Technology and Pivot Axis let you work to reestablish your natural balance as you move through your day. This MBT rocker makes walking effortless. The Spira Walker shoe is different to most shoes for their unique spring superior technology. Spira’s shoes are different for their WaveSpring Technology, which are lightweight springs that are placed in the heel and forefoot of every Spira walking and running shoe for extra support. 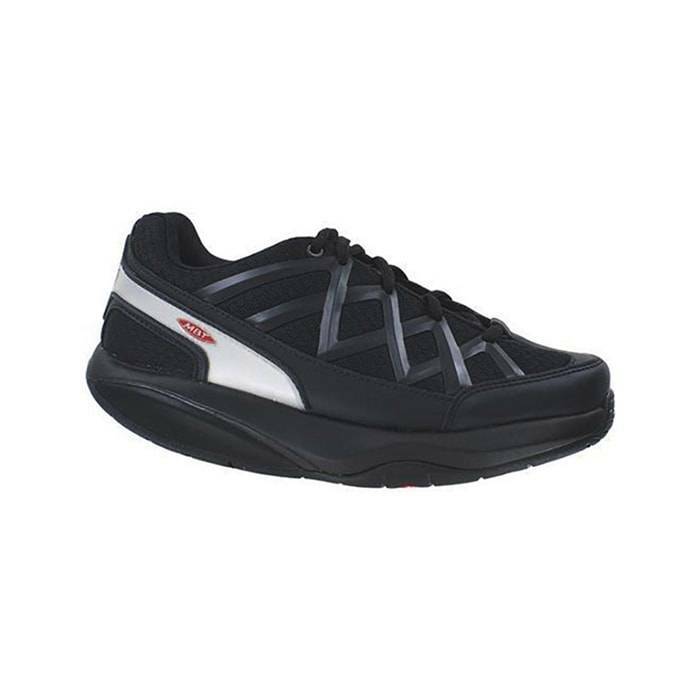 Therefore, these shoes are great walking women’s walking shoes for their energy return system. The shoe works with the ground by returning the energy back to you; as a result, reducing foot stress and fatigue for exceptional comfort. Affordable Walking Shoes for Women – Shoes Under $50! This Apex Lenex is a great buy for its price and features! Recently reduced to $86.97, this shoe gives you a bang your buck! 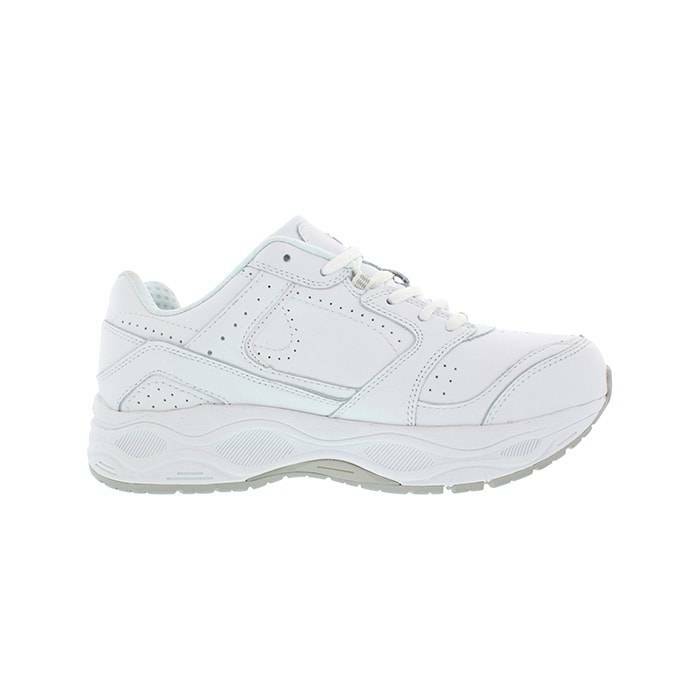 This walking shoe is made from technologically advance leathers, polyurethanes and moisture transferring polyesters to keep the foot in a healthy cool environment. In addition, the sneakers it features removable Aetrex polyurethane orthotics, which absorb shock from the ground up. Plus, it’s made with a multi-density EVA midsole and anti-slip rubber outsole. Finally, this Lenex’s high-tech Carboplast footbridge provides motion control and minimizes pronation. 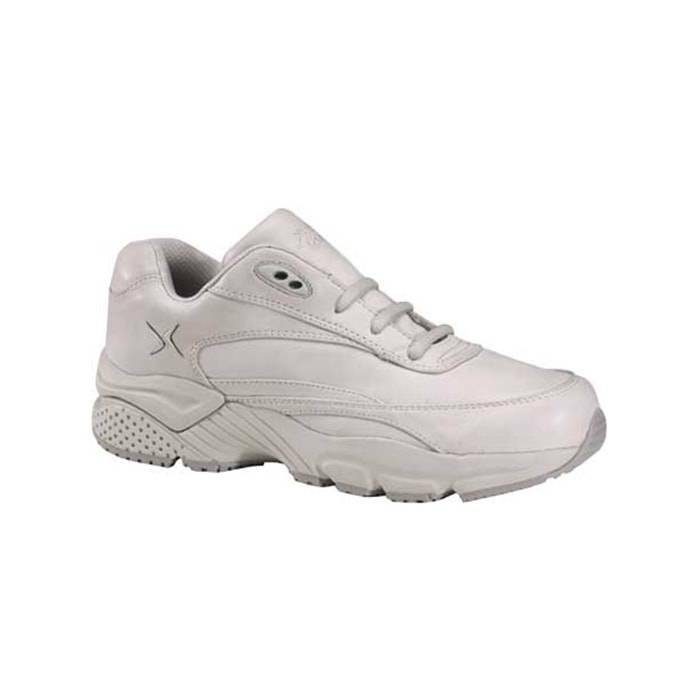 Don’t let the sleek styling of the Aetrex Women’s Q568 fool you. This women’s sneaker is a shoe built for both comfort and performance! It’s Aeromax mesh upper naturally holds and releases heat, keeping your walks more comfortable. 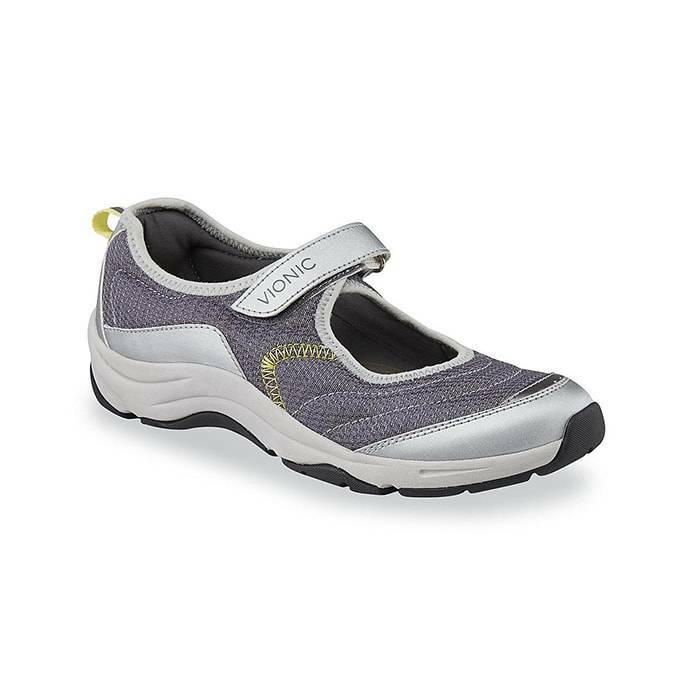 A padded tongue and collar, adjustable lockdown heel strap and cushioned insole keep you comfortable with every step. This Aetrex Ozone sneaker combines innovative customized technology with shock absorption to help protect your joints from harmful shock. This Ozone was specially designed for feet with high arches. Plus, this running shoe gives you plenty of cushioning, thanks to the shock-absorbing Sky EVA midsole. One removable layer provides fitting flexibility. A pressure relief insole with Mozaic Customization Technology, allows you to customize your fit by peeling away squares of the insole to relieve areas where you feel the most pressure or discomfort. This Apex Women’s V551 represents the highest standard in comfort and performance. 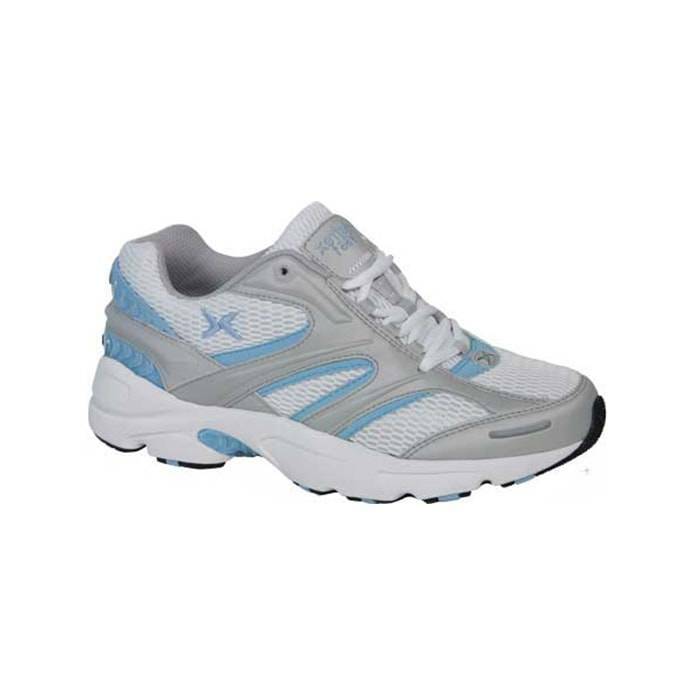 These walking shoes provide the stability and shock absorption needed for high impact running activities. Just as important, a lightweight molded EGX footbridge reinforces the midsole and provides motion control while individual pods increase traction and stability. Also, the lightweight, removable Apex orthotics and Mozaic Customization Technology insoles provide optimum comfort and also helps absorb the shock created from running. If you’re looking for sneaker comfort without the sneaker look, this Vionic Sunset is your shoe! This mary jane style women’s walking shoe features an adjustable hook and loop strap across the vamp that helps secure your foot in place. Your feet will feel at home in the roomy man-made and mesh uppers. In, addition, this Sunset is built with Orthaheel Technology removable insoles which provides superior orthotic support, relief, and stability. You can shop our large selection of women’s walking shoes both online and at any of our Lucky Feet Shoe stores. But if you prefer to try-on our shoes, then we have nine comfort shoe stores in Southern California. Visit any our stores in Costa Mesa, Anaheim Hills, Rancho Cucamonga, Riverside, San Dimas, Long Beach, Temecula, La Quinta, and Palm Desert. In addition, we invite you to shop our wide selection of women’s walking shoes, wide shoes, arch supports, and custom orthotics! Not to say the least, we offer a FREE FOOT ANALYSIS were we determine your gait for free, perform a free digital foot scan, and measure our feet! For this reason, we encourage you to shop in-store for our personalized customer service and free foot analysis!